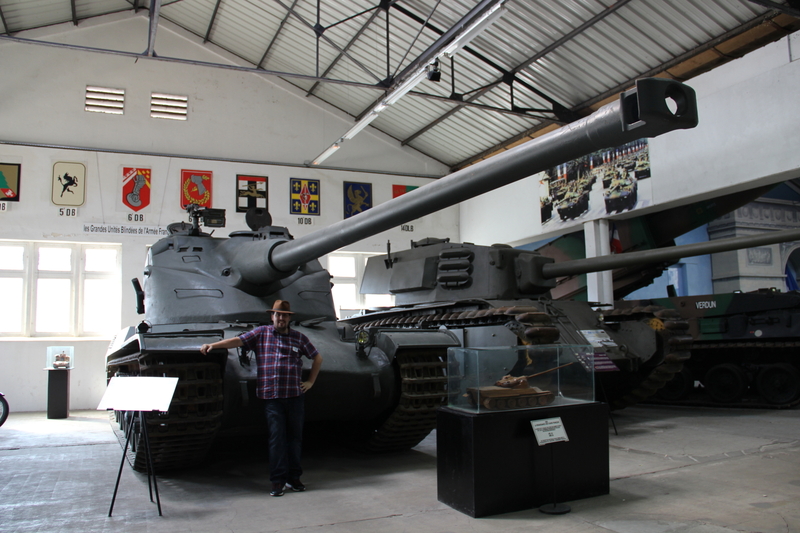 We have come to the end of my visit, so this will be my last post about it, for now. 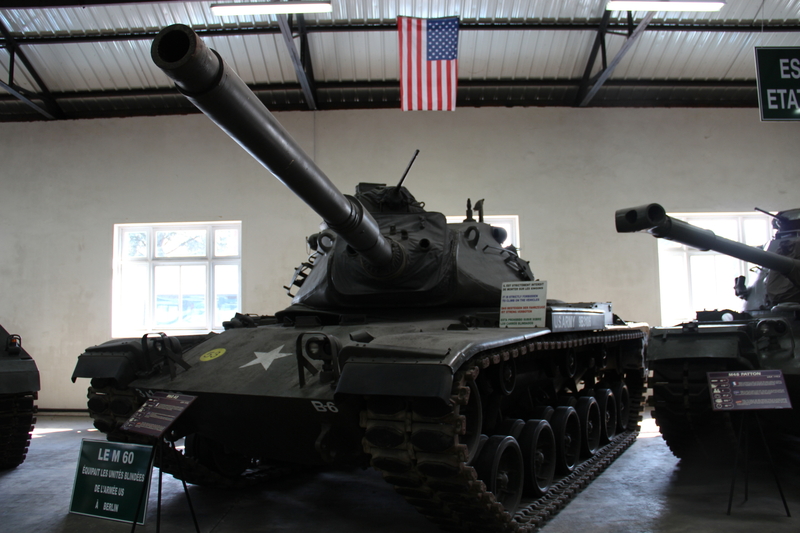 For any of you that missed any previous parts, or if you just want to have another read, there is a link at the top of the page so you can get all parts in there. 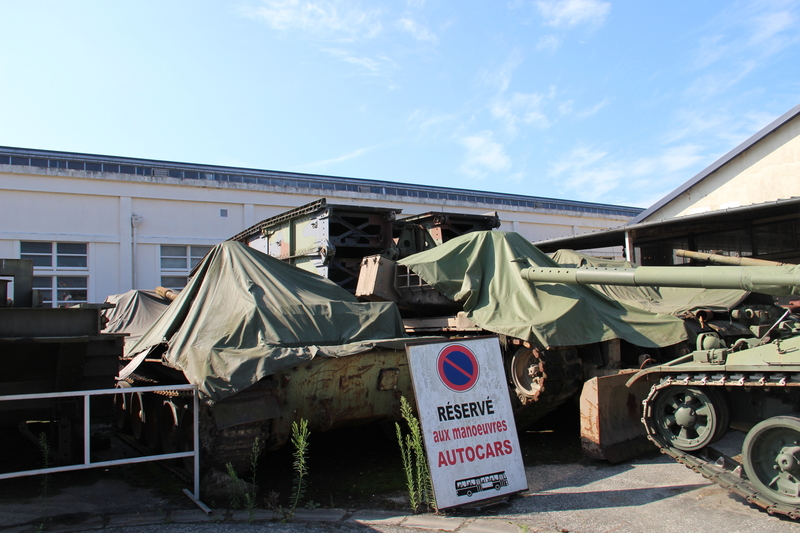 On today’s post I will be talking about the French Hall, Contemporary World Hall and the Exterior Exhibition. 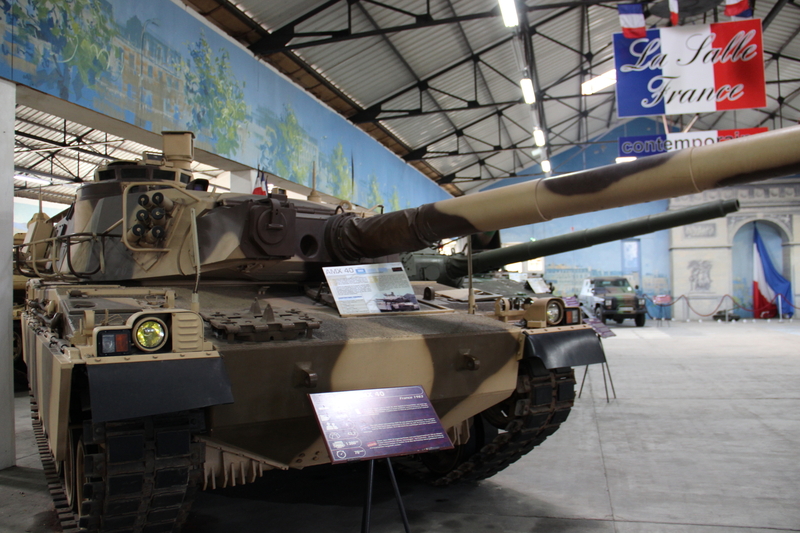 This is the first of the last two halls and it’s all about French tanks. 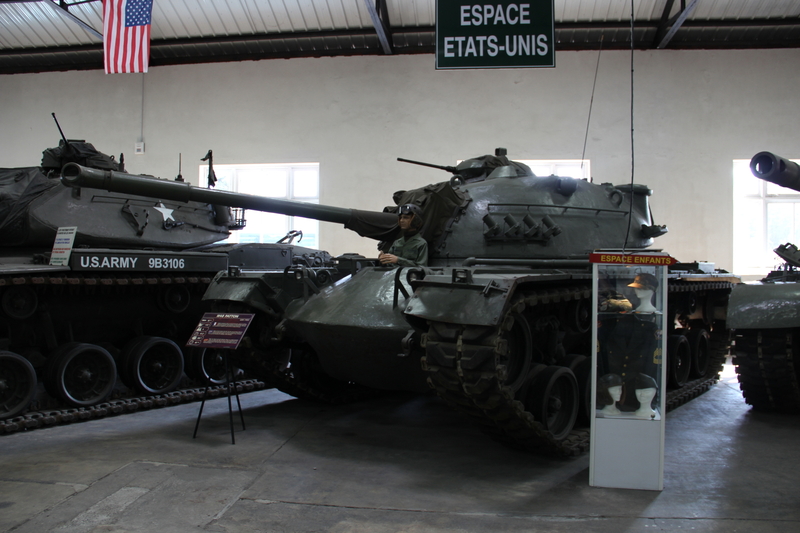 Well, sort of… Some of them aren’t French, they are American tanks used by the French before they started building and using their own designs again. 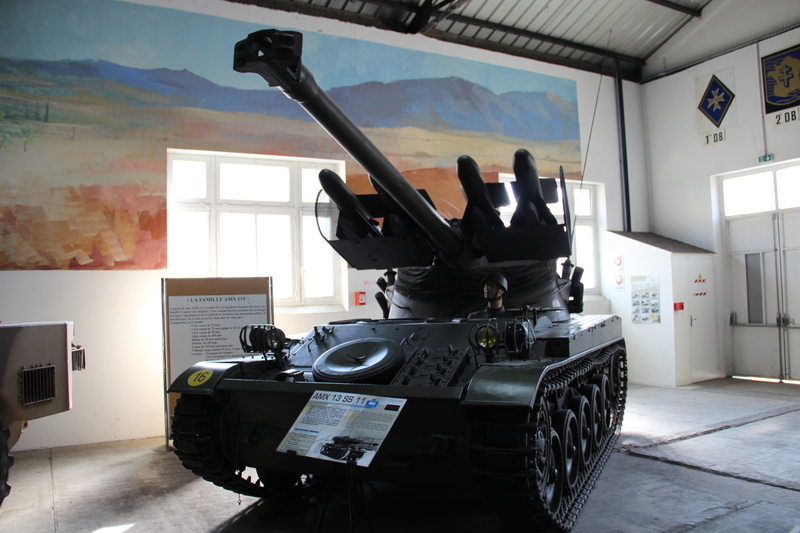 There is quite a collection of Armoured Cars in the hall, they look like tanks with wheels but they are not tanks. 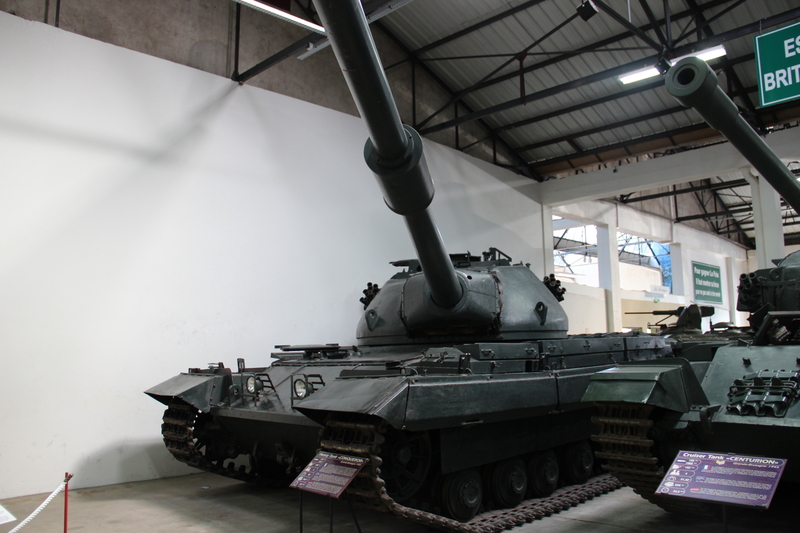 But as I mentioned before, I was in a rush at this moment and I didn’t take as many photos as I wanted to, so I just took these two. 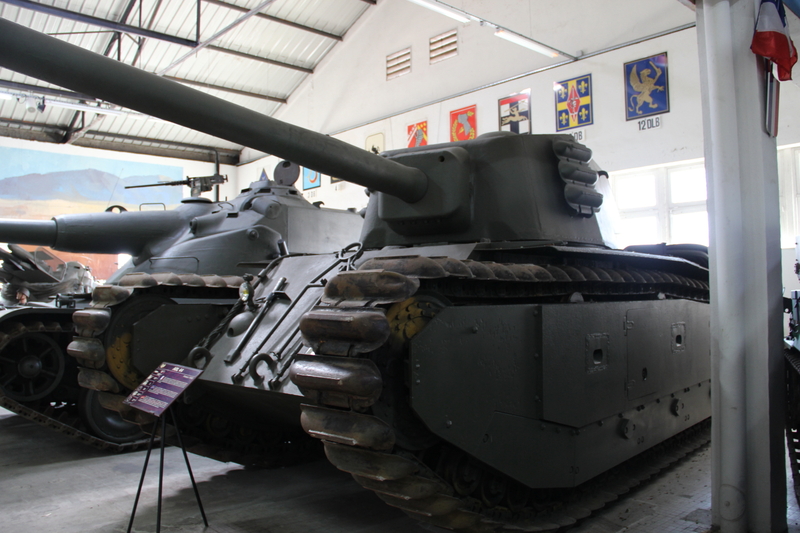 But still had time to have a good look at two tanks I was curious about, the AMX 50 and the ARL 44. 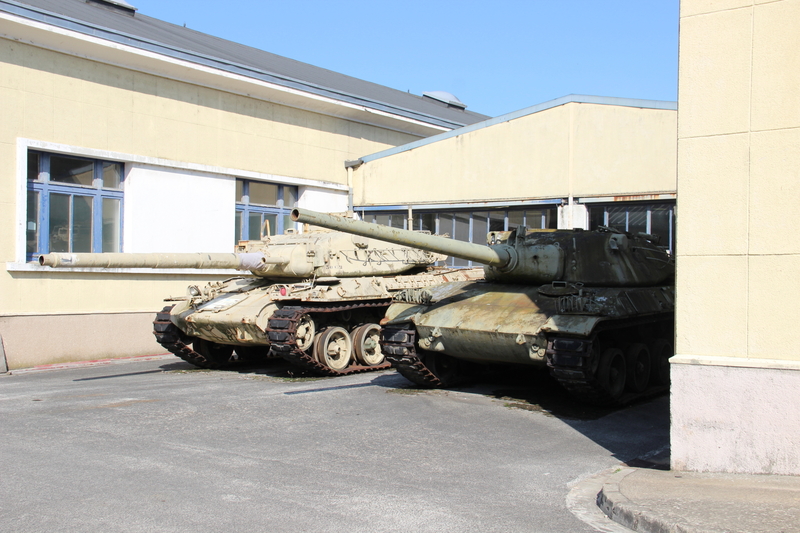 The size of these beasts surprised me, I always thought they were big, just not this big. 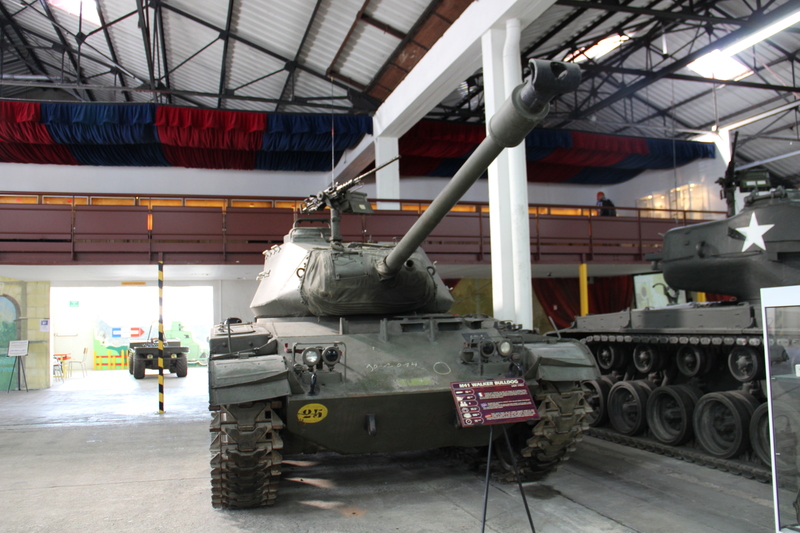 The small wooden tank model in front of the AMX 50 is the AMX 50-100, there wasn’t one on display unfortunately. 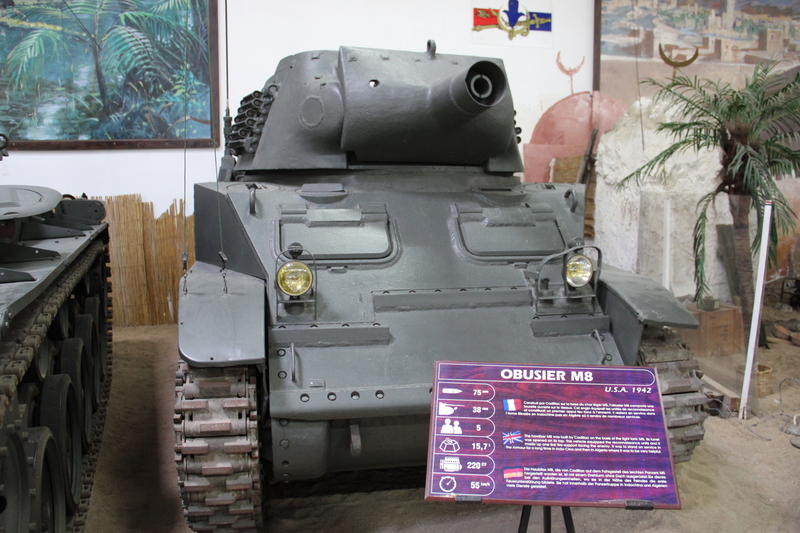 The ARL 44 is a strange tank for its time, because French engineers had been rather isolated from developments during the war, they based the design on what they already knew well… And this is why the ARL 44 looks like a tank from before the War, but it was in reality a French attempt to have a large well armed vehicle. 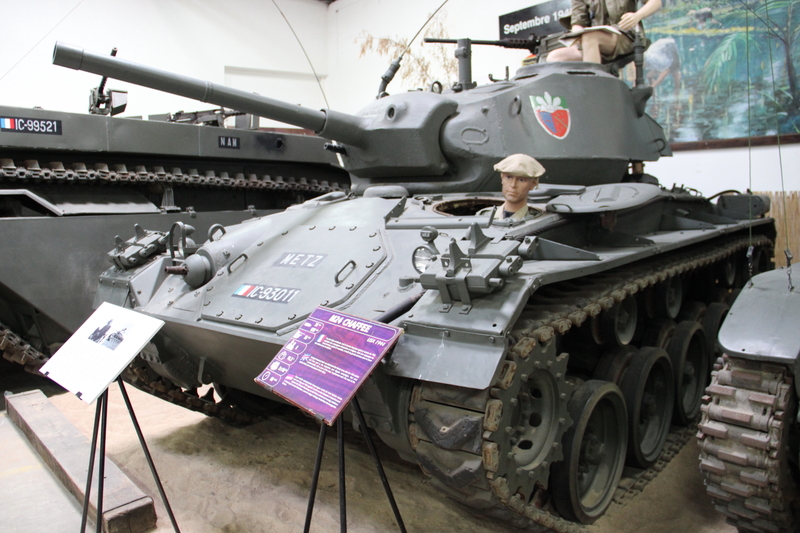 It had a short service life and were built in very low numbers, around 60 were completed by 1949. 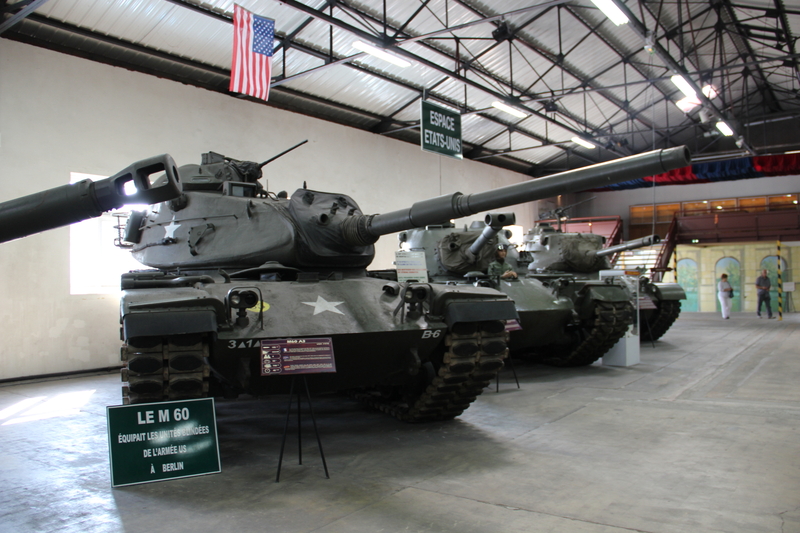 The largest public display was in 1951, when 10 of them participated in a parade for Bastille Day. 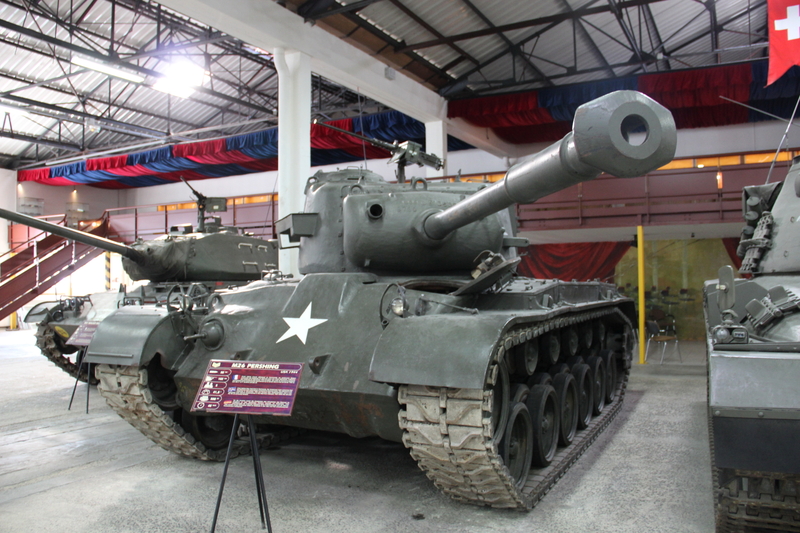 They were phased out in 1953 and replaced by the American M47 Patton. 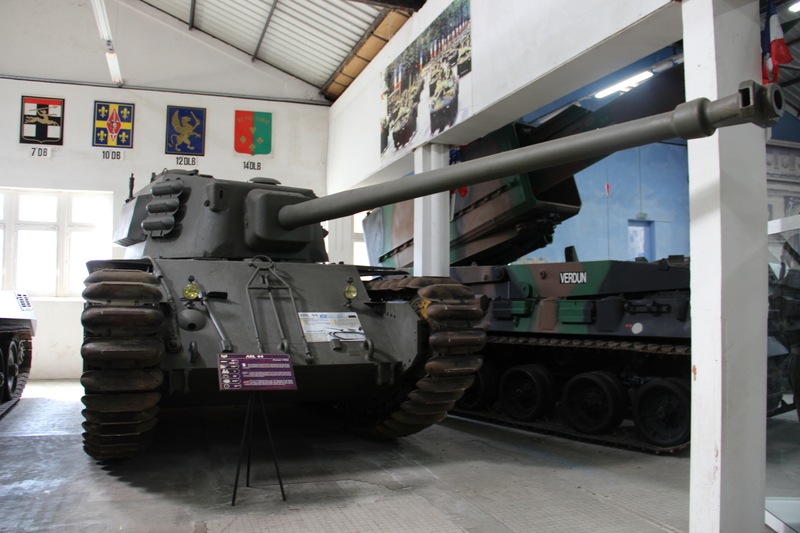 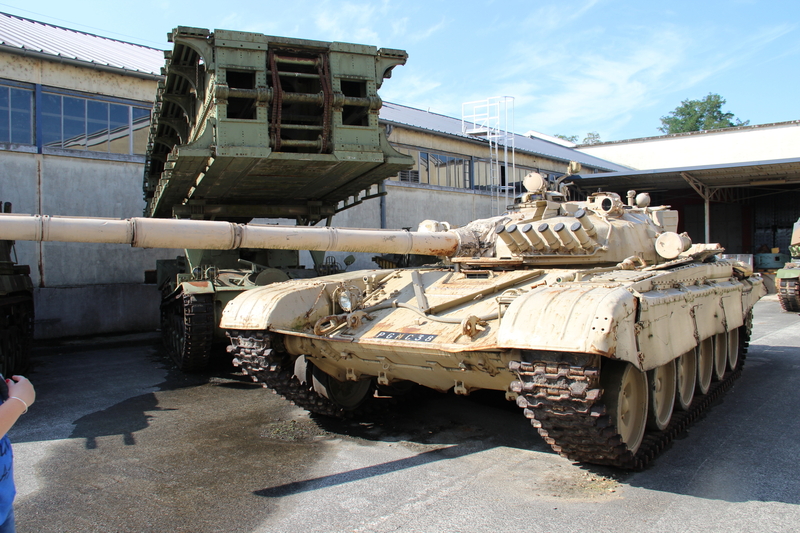 We can find some other interesting vehicles in here, an AMX 13 T75 Char Lance SS-11, basically an AMX 13-75 with SS-11 ATGM Launchers. 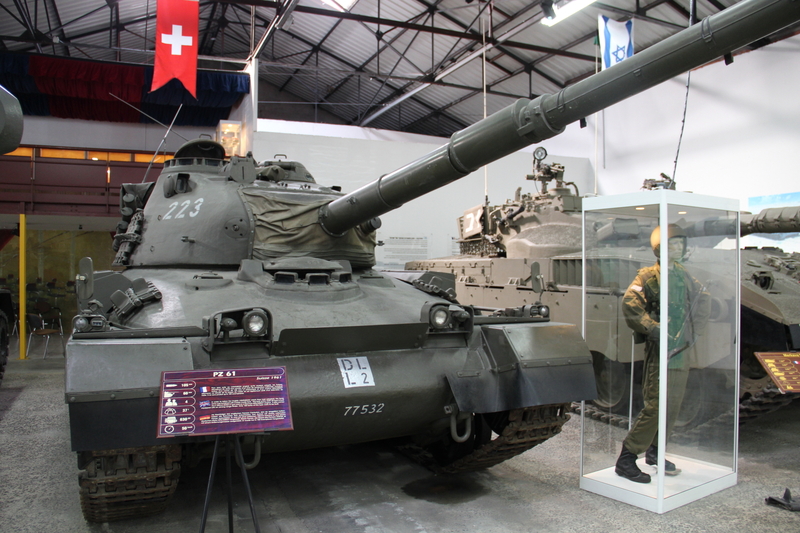 There is one AMX 30 MBT and an AMX 30 EBD, it’s a AMX 30 B2 fitted with Soviet mine rollers provided by Germany from East German stocks. 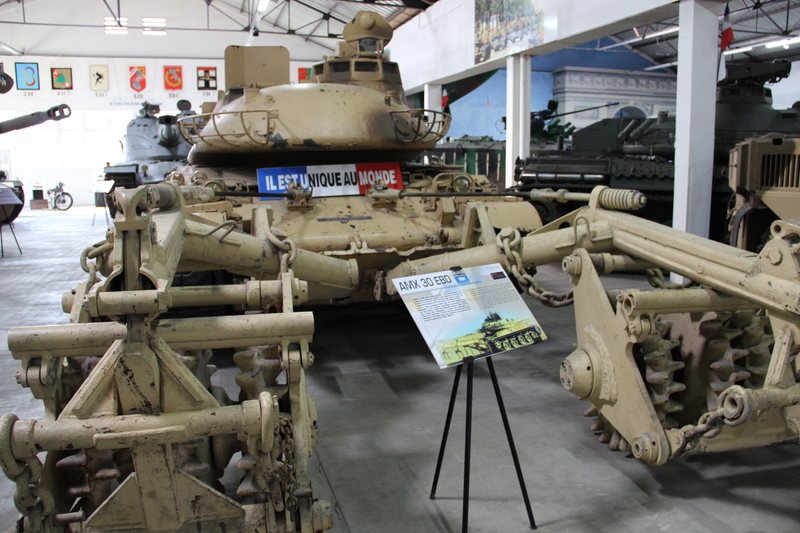 This one in particular was used in combat in the Gulf War. 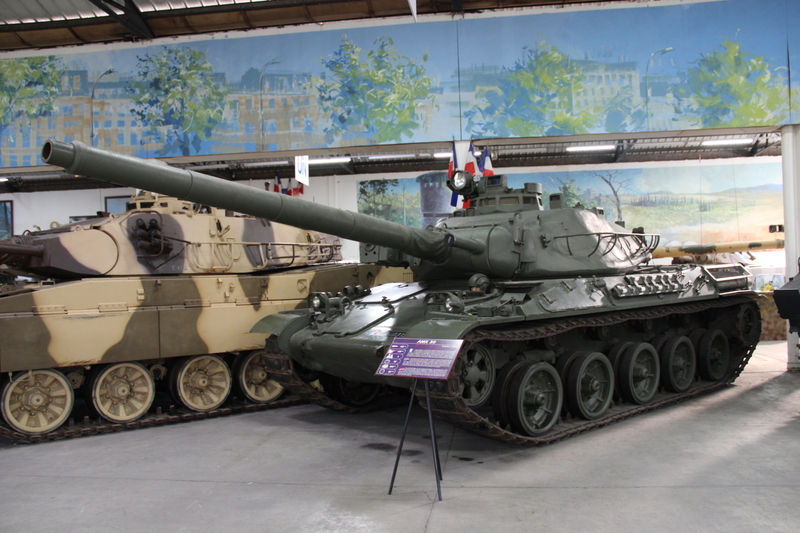 And last but not least, you will find an AMX 40 and a Leclerc MBT. 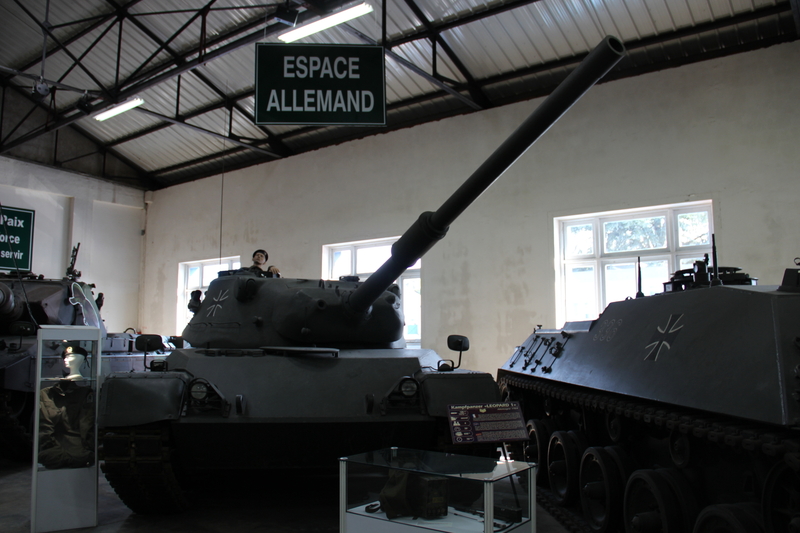 As you come out of the French Hall, you come across a smaller hall called “Avenue of Great Men”. 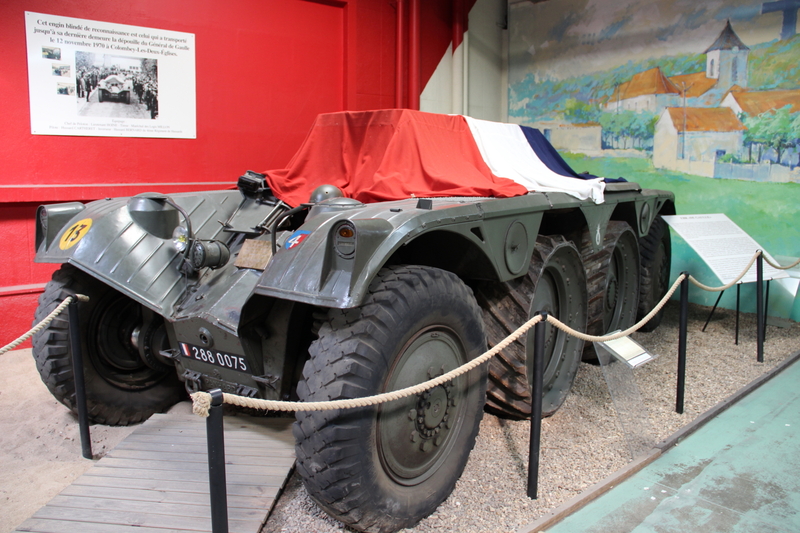 In here you can find a modified Panhard that was used to transport Charles de Gaulle in 1970 at his funeral. 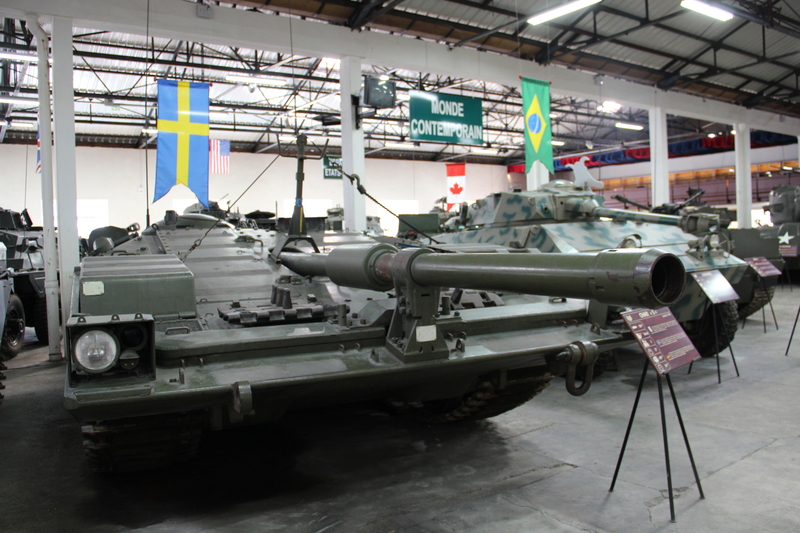 Then you get into the last hall, the Contemporary World Hall, full with a mix of vehicles from all around the world. 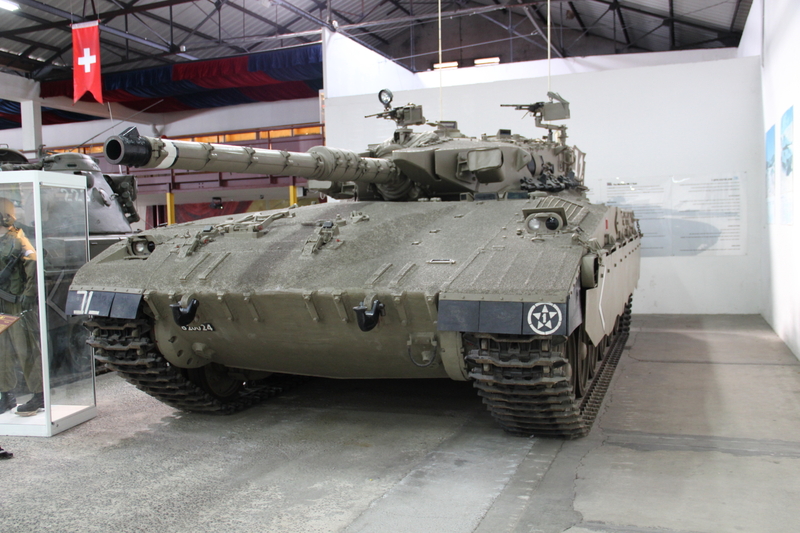 In here we can find an Israeli Merkava Mk I, a Swiss PZ 61, an American M41 Walker Bulldog and M26 Pershing. 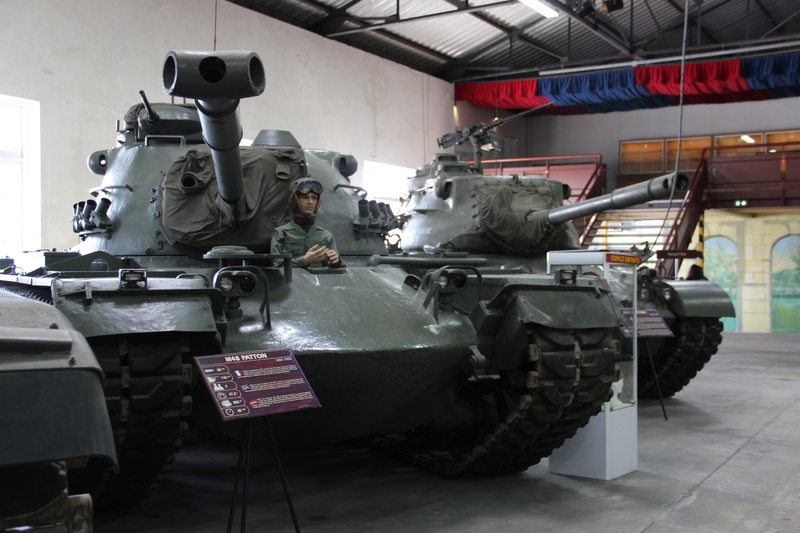 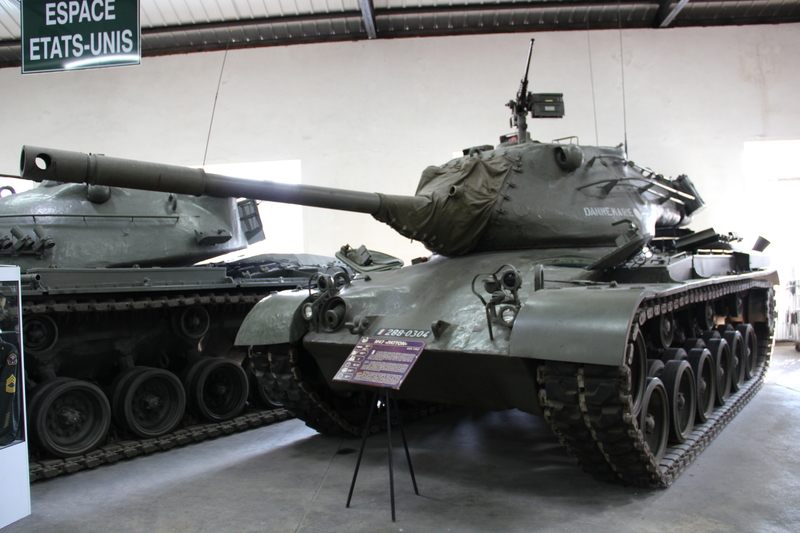 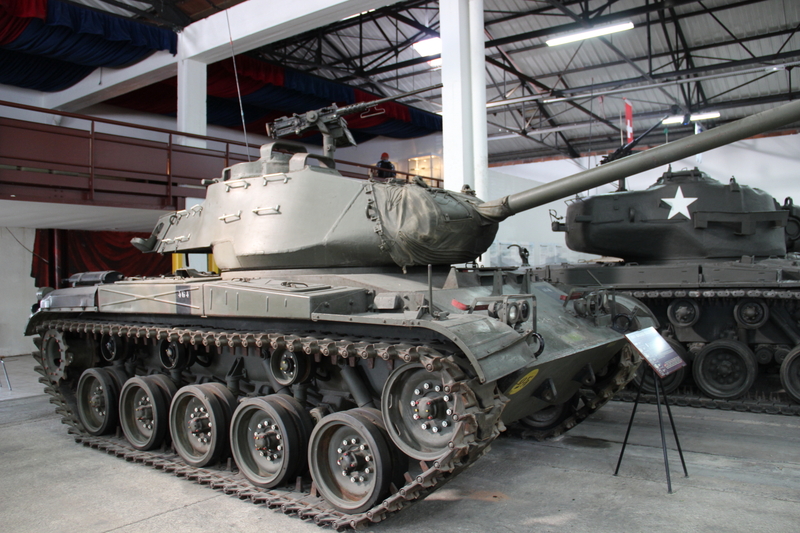 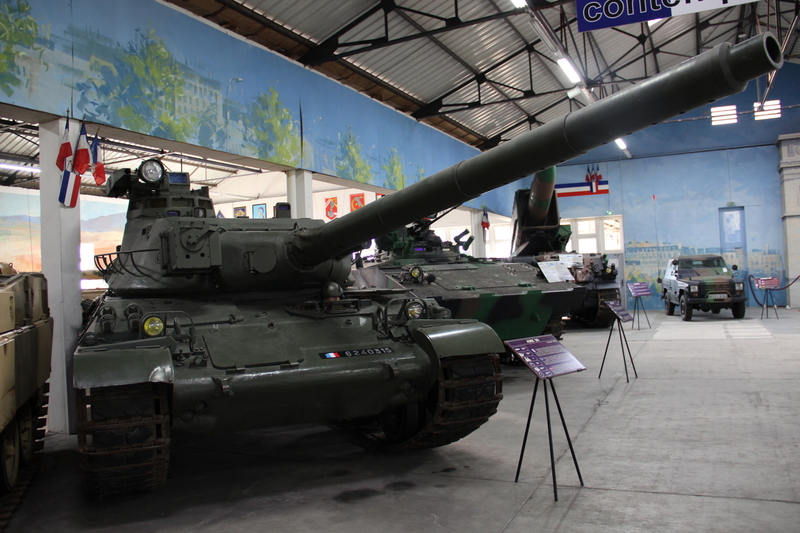 As you move along the hall you can find a few more American tanks like the M47 Patton, M48 Patton and a M60A3. 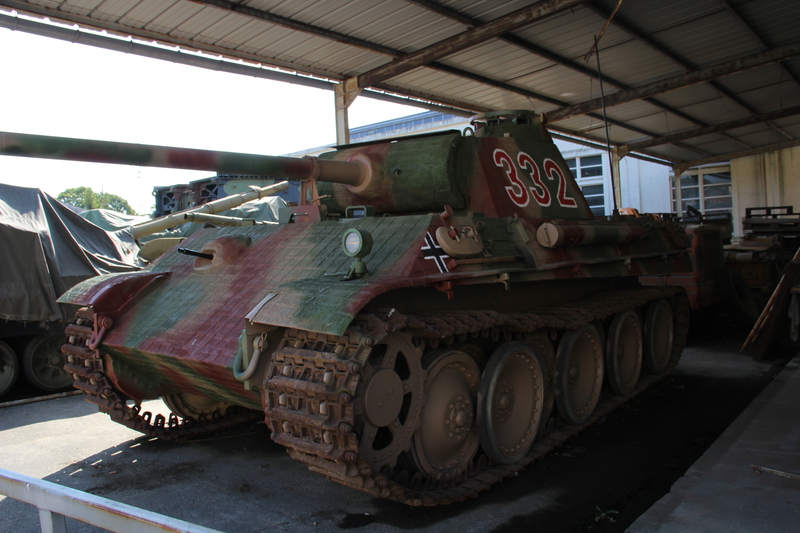 Then we have a few German tanks, including a Kanonenjagdpanzer, and it was the first time I ever saw one. 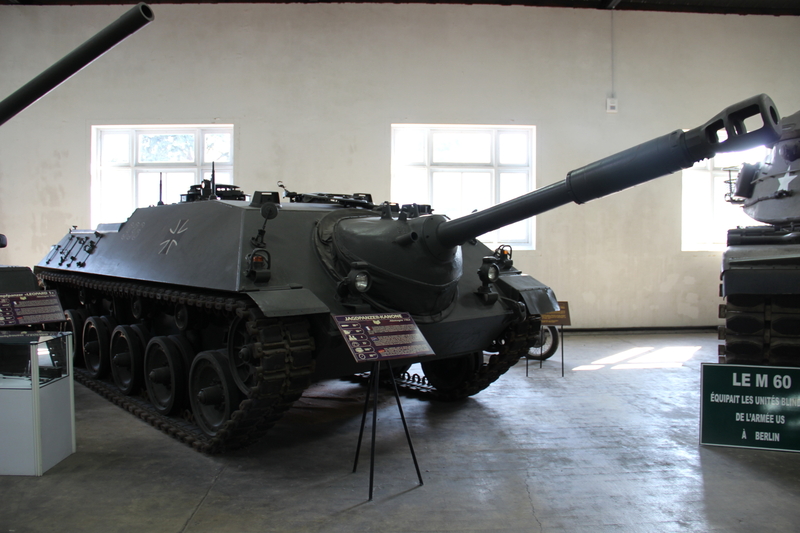 It’s amazing to think this is a German tank equipped with a 90mm gun used in the M47 Patton. 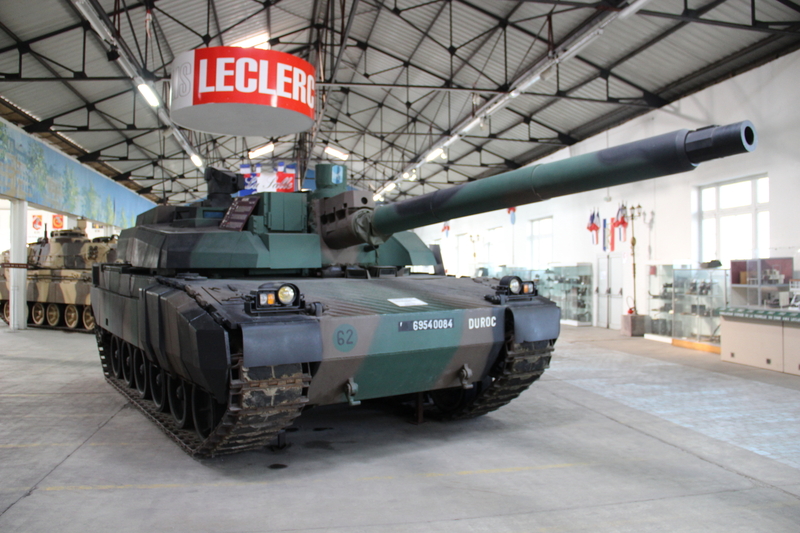 After that we got a Leopard 1 and a Leopard 2, both quite beautiful tanks. 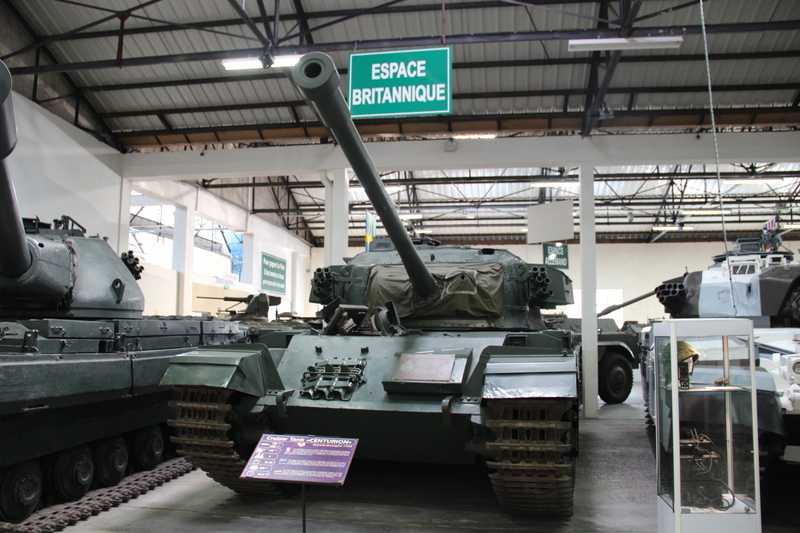 In front of the German tanks you will find a British Conqueror and a Centurion Mk III, if I am not wrong, as it’s equipped with a 20 pounder gun. 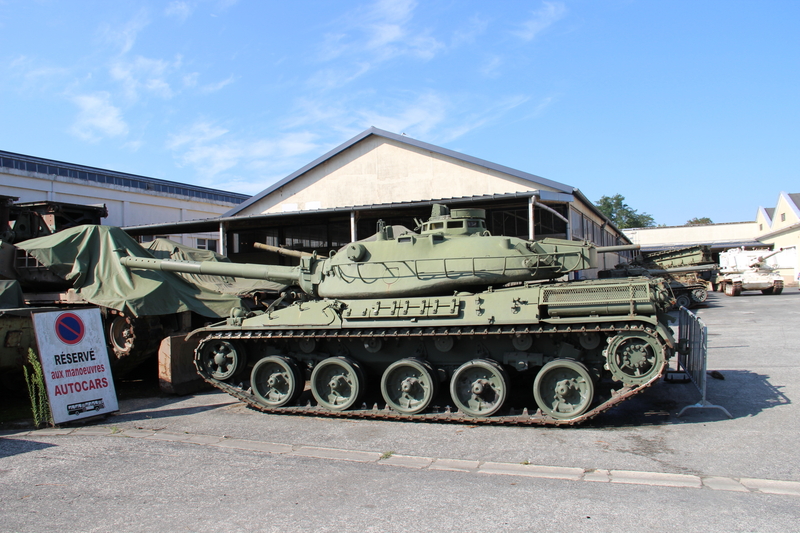 Next to them there is a Swedish Stridsvagn 103, also known as S-Tank 103 or Strv 103, and to my amaze there was a Brazilian armoured car EE-9 Cascavel 2. 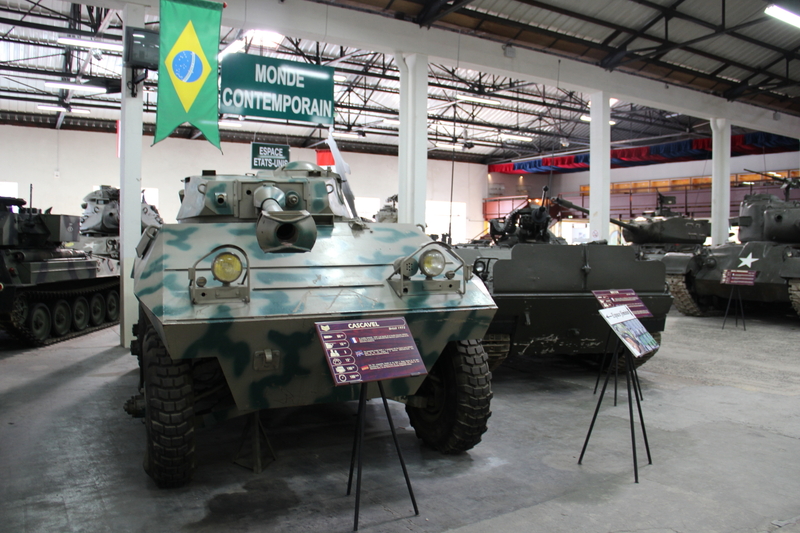 This vehicle was developed to replace the M8 Greyhound Armoured Car used by the Brazilian army. 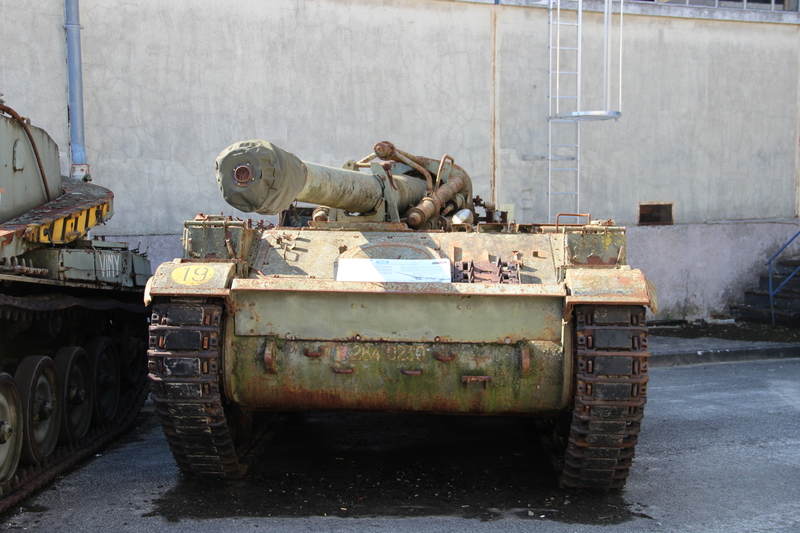 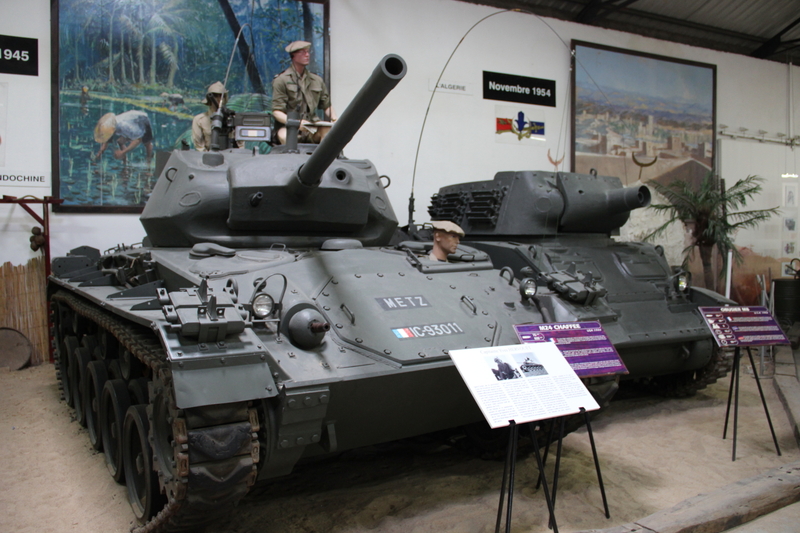 The first version used the M8 37mm main gun, but it was soon replaced by the Panhard AML-90 gun. 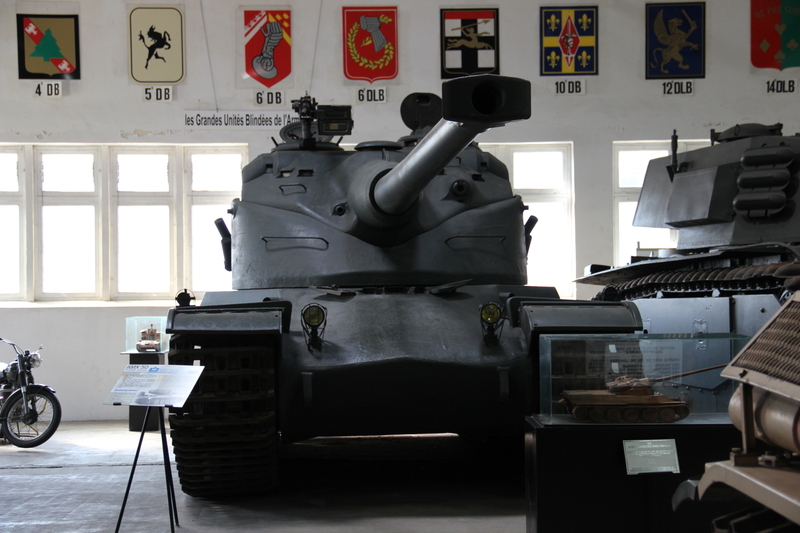 As you go out of this hall, you might think your visit is over because you get to the museum shop. 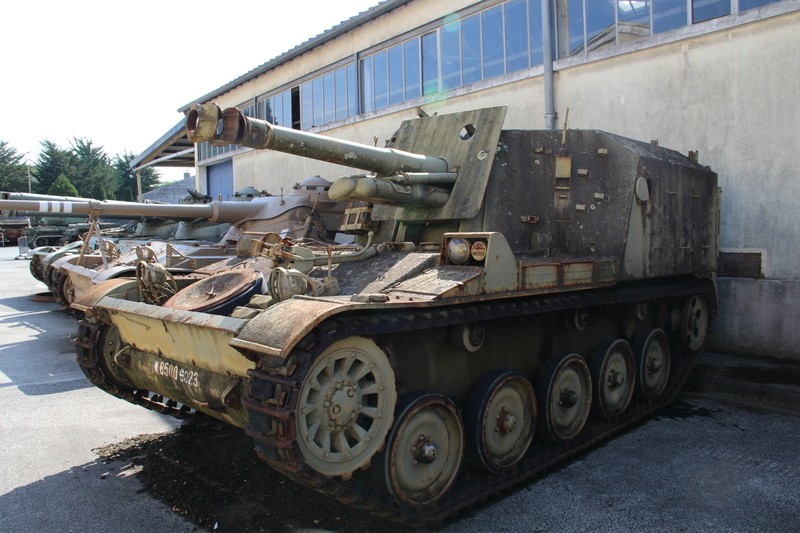 Well, not really. 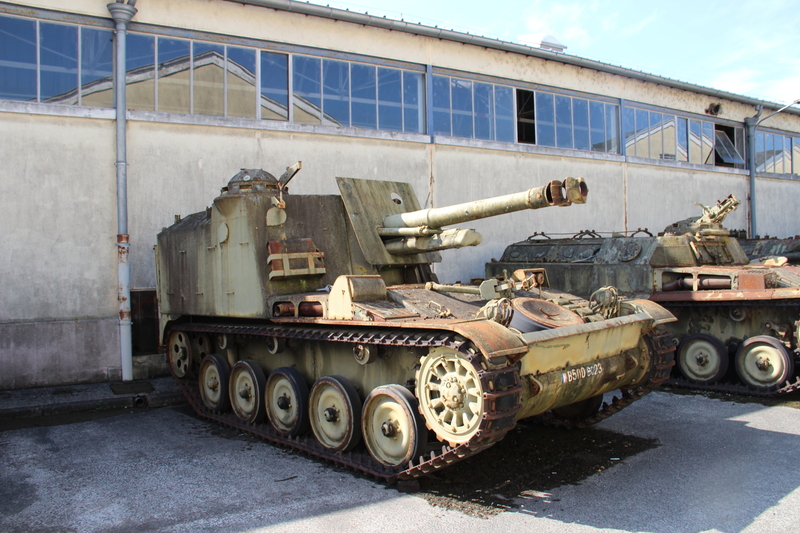 Outside there are a few other vehicles that you can have a look at, rumours say there is a Bat-Chatillon Char 25t somewhere in there. 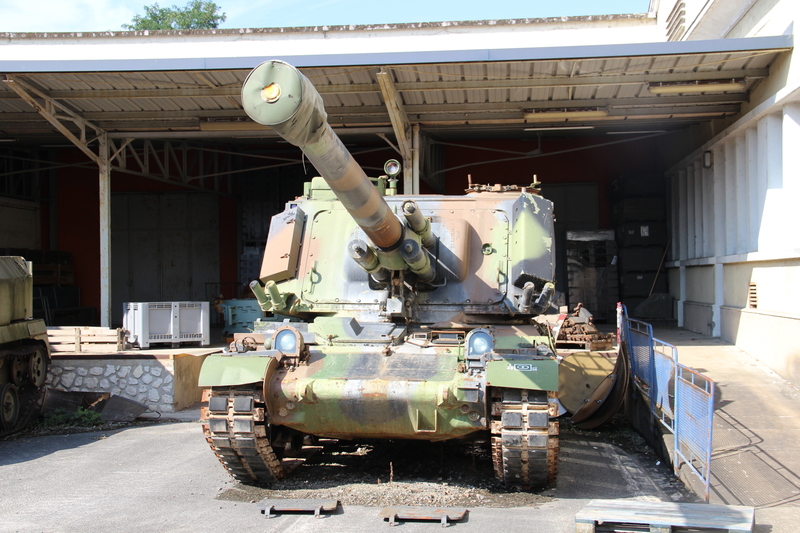 I didn’t find it unfortunately. 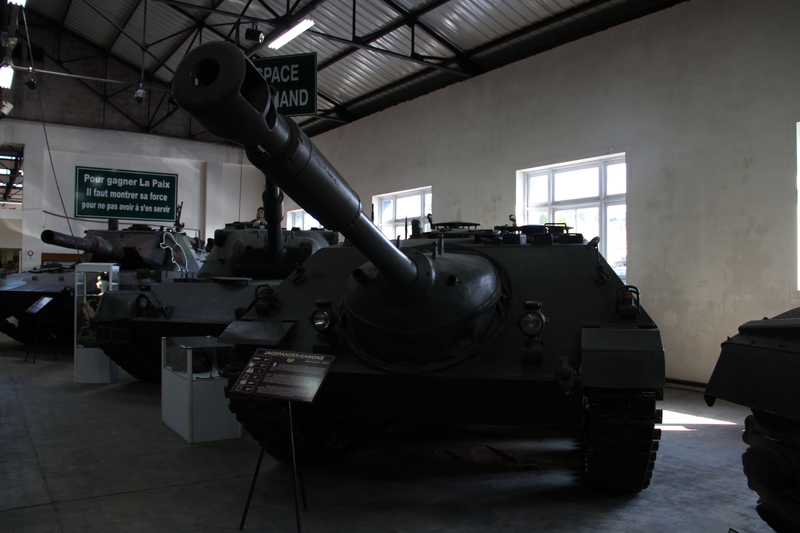 I have been told there are some areas outside you can visit, if you arrange it before you go, maybe another time when I can visit the museum again I get to see it. 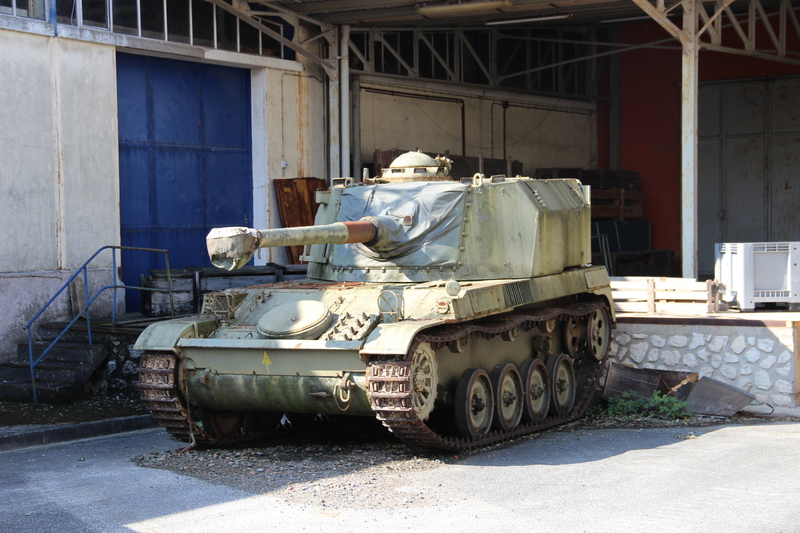 You can still see several unique vehicles, some of them are covered so it’s difficult to see what they are, but others are easy to identify. 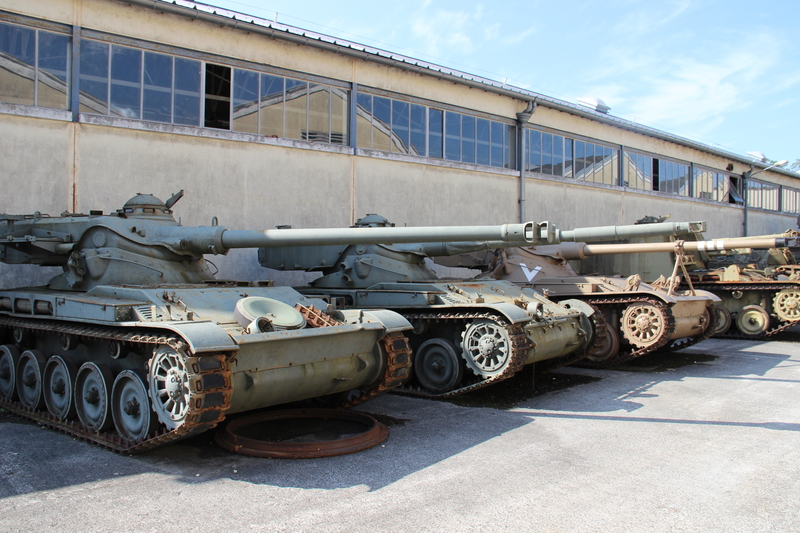 What made me laugh, was the fact that there were mainly SPG vehicles outside, maybe the museum doesn’t like them as World of Tanks players? 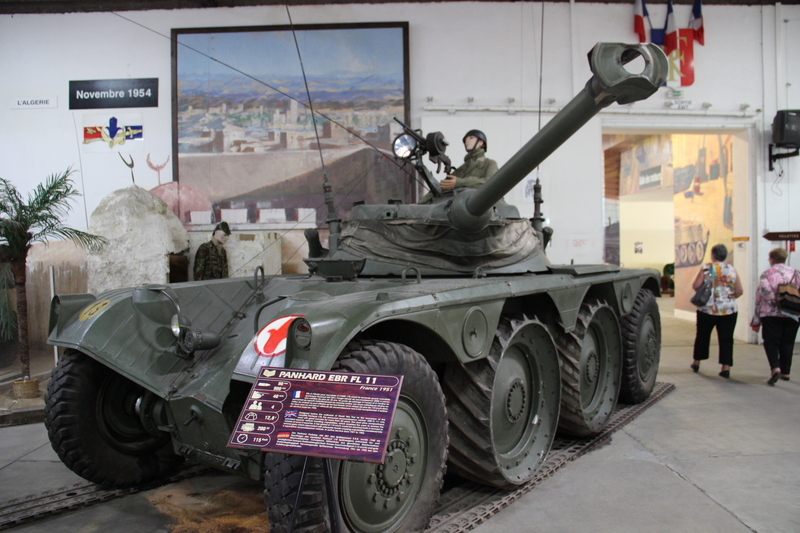 Just joking, to be honest I believe it’s because the museum has so many vehicles, that it has to have them outside exposed to the weather elements. 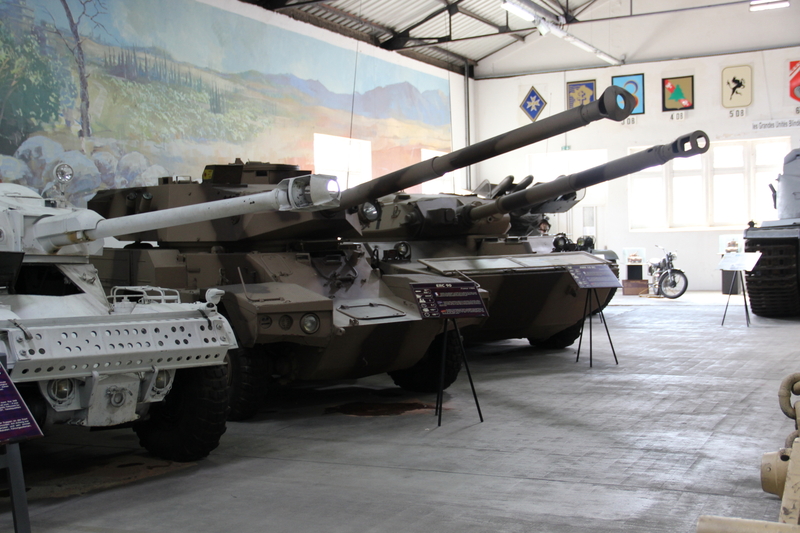 In the end, even if I only had around one and half hour to spend on this visit, I was happy that I was able to see all these vehicles. 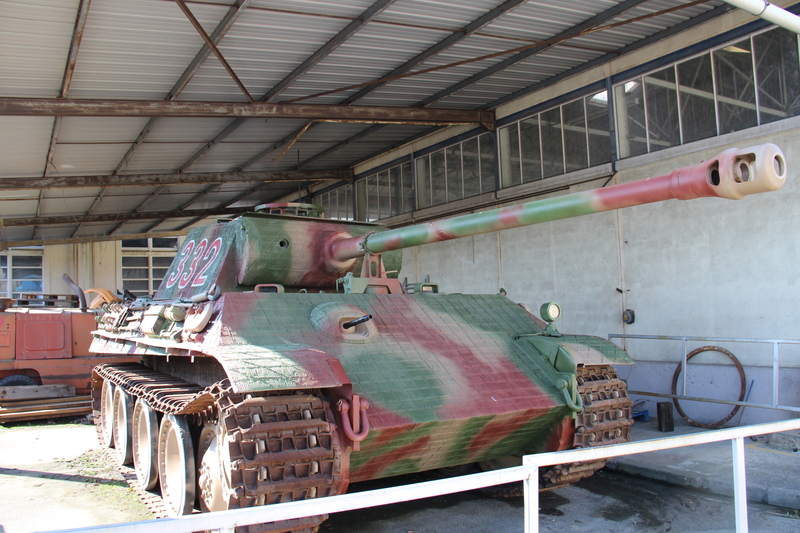 Unfortunately I didn’t take as many photos as I wanted, but got enough to give you an idea of what you can find there. 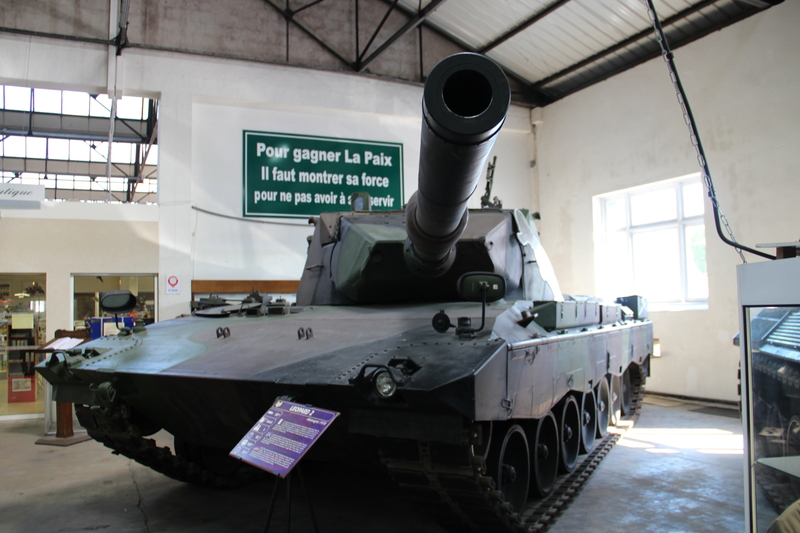 This brings us to the end of my articles about the Saumur Tank Museum, I hope you enjoyed them and don’t forget to leave your comment bellow.